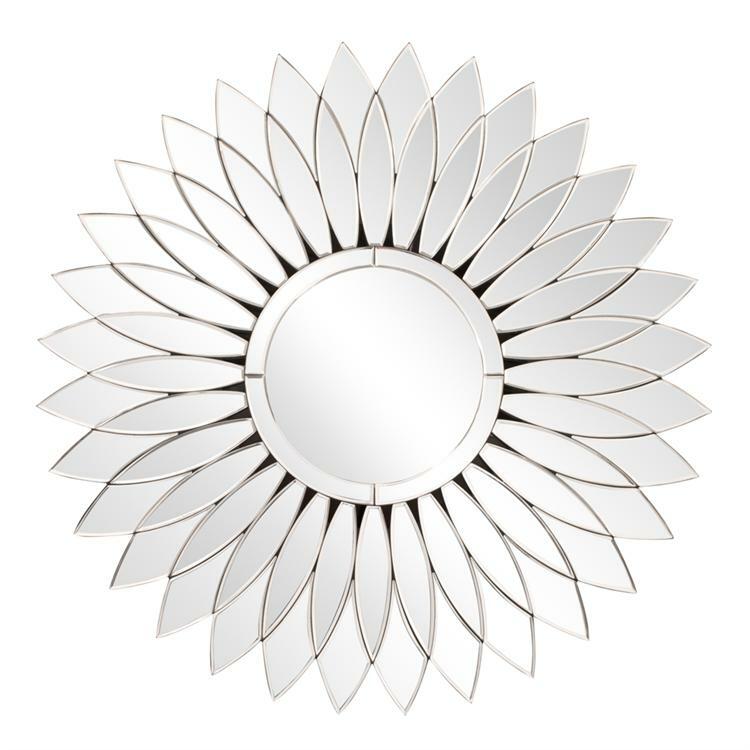 The Denver Mirror features overlapping mirrored petals that surround the round mirror characterizing its flower like look. It is a perfect focal point for any design. The mirrored petals on this piece have a bevel adding to its beauty and style. Customizable for larger orders.